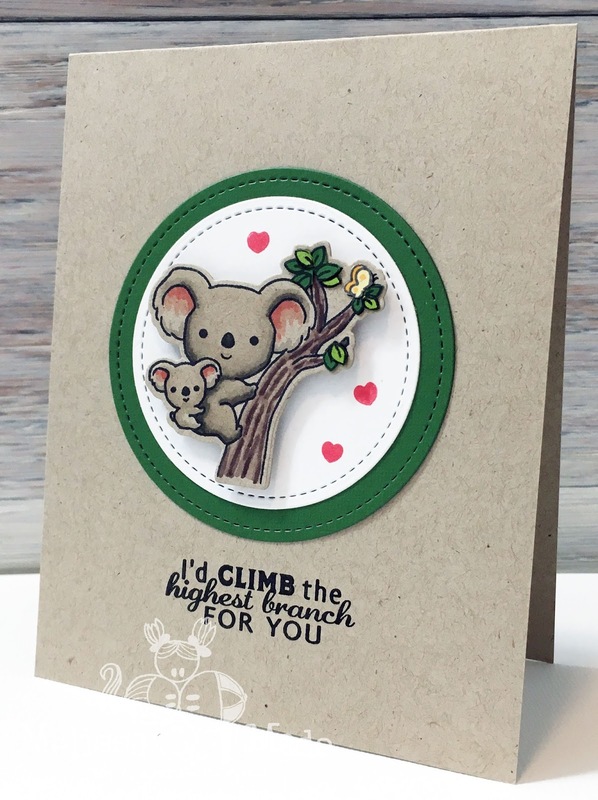 Well as you know, I'm addicted to SugarPea Designs adorable little stamps. I can't get enough of those cute characters and the adorable sentiments that come with each set. 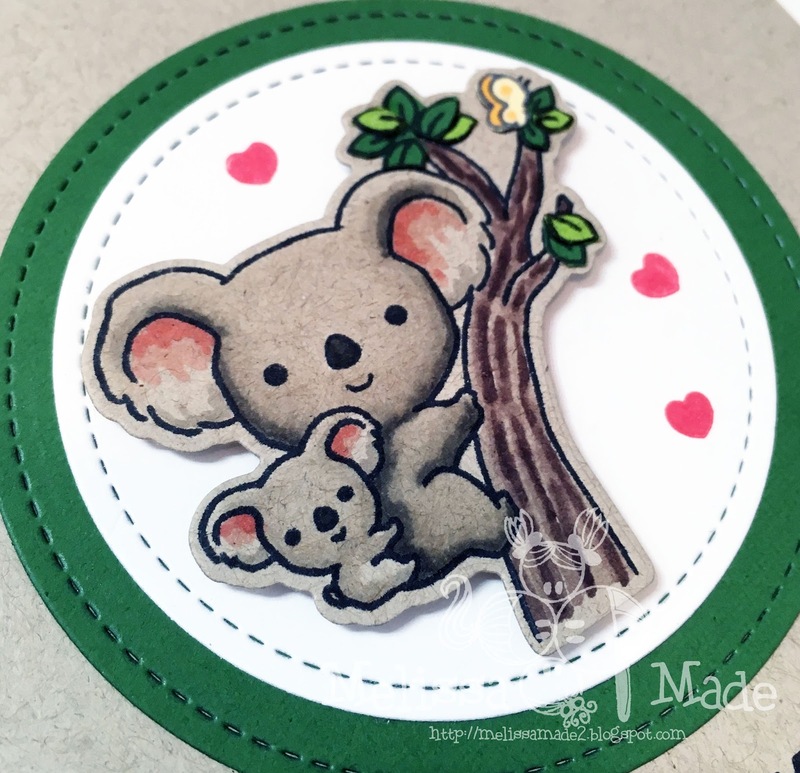 This is an exclusive stamps set sold through Simon Says Stamp for the Stamptember 2017 release called Koalaty Time. I saw a few of the gorgeous design team samples and knew I wanted them! I colored this cutie with Copics on Desert Storm Neenah 80lb card stock. I also stamped the image on two shades of green card stock and on yellow. I fussy cut the leaves and butterfly and adhered them with multi mat medium. The hearts that also come with the set were stamped in versamagic ink! I just love this set and SugarPea Designs!!! Sadly, this stamp set has been sold out. However, you can find a lot more of their cuties HERE! Your card is super sweet. Can't wait to get my stamps. Ooh, can't wait to see what you create with your new stamps!!! The wait is awful isn't it?? ?